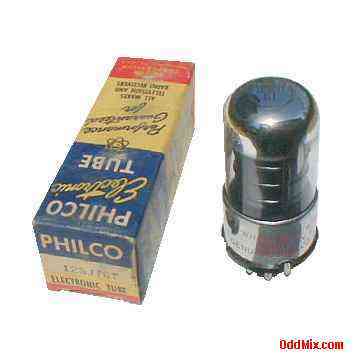 This is a genuine, vintage, no longer made, discontinued type Philco 12SJ7GT Sharp Cutoff Pentode electronic tube. Used as RF or IF amplifier in many television receivers. Useful part for antique radio or television restoration. For reference only - no longer available!